It may be a new year, but some things never change. It's books, books, books around here! I have gotten to the point where I genuinely get so excited to finish a book because it means I get to dive into another. Thankfully Parker shares the reading enthusiasm as well. One of our favorite things to do at night is curl up in bed and read. Old married couple, party of one. I don't hate it! I read 3 fairly different books this month and am excited to share my thoughts with you today! One I thought was just okay, one I really liked, and one had me literally laughing. out. loud. Let's get to it! This is my second Sophie Kinsella book (I read The Undomesticated Goddess last year). I really enjoy this author and know I can count on her for some good quality chick lit. I've Got Your Number did not disappoint! The plot was sweet and original and only mildly predictable, which is usually a win when it comes to chick lit. I liked this one a lot and would recommend to a friend! Oh. my. gosh. To start, I think this is the first book I ever found myself laughing out loud to. 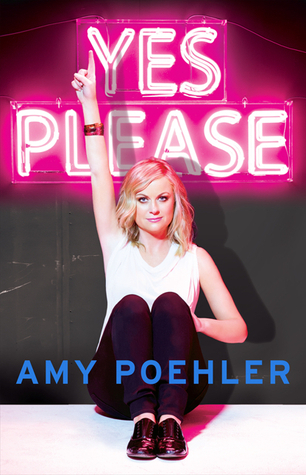 I am a big Amy Poehler fan, which I am sure helps, but her book is such a standout. It's funny and honest, and I actually tried to read it more slowly so it would last longer. I think I was driving Parker crazy because every 10 seconds I said "Oh my gosh, let me read you this line!". She talked about her time on SNL and Parks & Rec and even dove into her personal life, making it all hysterical as only Amy Poehler can do. It's January and I already know this will be one of my favorite books of 2016! This one is tough. I really, really wanted to love it. Since The Fault In Our Stars was my overall favorite book of 2015, I had high hopes for John Green's other bestseller. 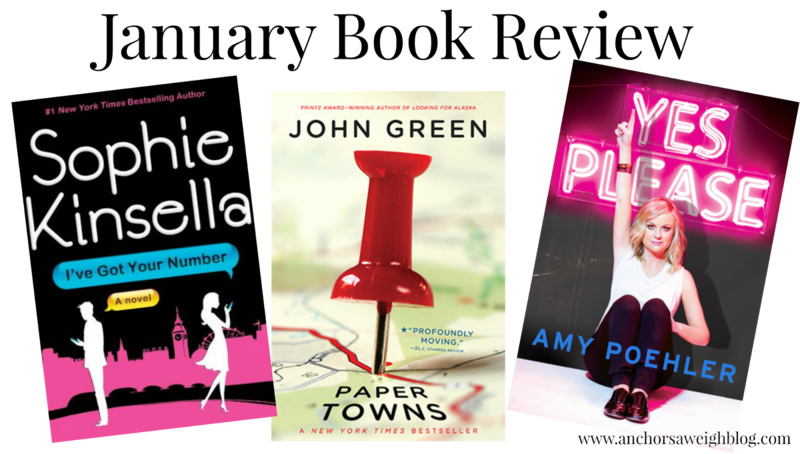 Maybe I put it on too high of a pedestal, but I just wasn't obsessed with Paper Towns. It was entertaining enough, but the plot left something to be desired, and it ended very abruptly. I just couldn't help but feel a tiny bit disappointed in this one. Did anyone else feel this way? That's a wrap for January! We'll talk books again with a whole new round of contenders in February! I laughed my way through Amy's entire book..so, so funny! 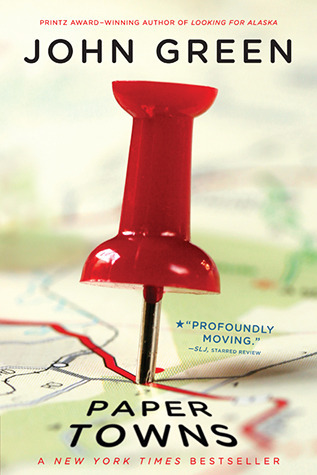 I was so incredibly disappointed in Paper Towns. Everyone I knew loved it, but it just seemed really boring and drawn out, and then the end made wonder why I wasted my time reading it.... I'm glad someone else feels the same way as me! I love Amy Poehler, she is hysterical! I need to get her book. I attempted to read Amy's book but I just couldn't get into it. I'm not really a funny person though! I love Sophie Kinsella books! Haven't read Amy Poehler's book but did love Tina Fey's and that one was pretty good! Did Paper Town's get turned into a book? I love finding out about new books! I have paper towns as a book to read this year for one of my challenges and I'm interested to see how I like it because I'm not the biggest John Green fan, though I do agree with you, The Fault in our Stars was good. I loved Yes Please as well! Amy Poehler is just the greatest! I was absolutely laughing out loud the whole time and loved the behind the scenes looks at her shows and life. So fun! 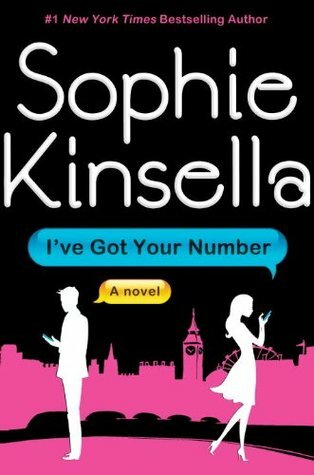 I love Sophie Kinsella -- her books always leave me laughing! I loved Yes Please! I thought it was so so so hilarious. I haven't ready anything by John Green yet! I felt the same way about Paper Towns. None of his other works really compare to TFIOS.